Important considerations when deciding whether or not to have LASIK are your expectations and your ability to accept a less-than-perfect outcome. LASIK can reduce your dependence on glasses and almost always gives you the ability to function well without the need for eyeglasses or contact lenses. But there are no guarantees, and LASIK doesn’t always create perfect vision. 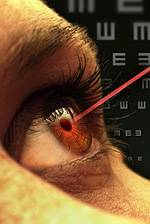 In some cases, your vision after LASIK may be permanently less clear than it was with glasses before the procedure. You have to ask yourself if you’re willing to accept the risk of such an outcome before you decide to have LASIK surgery.